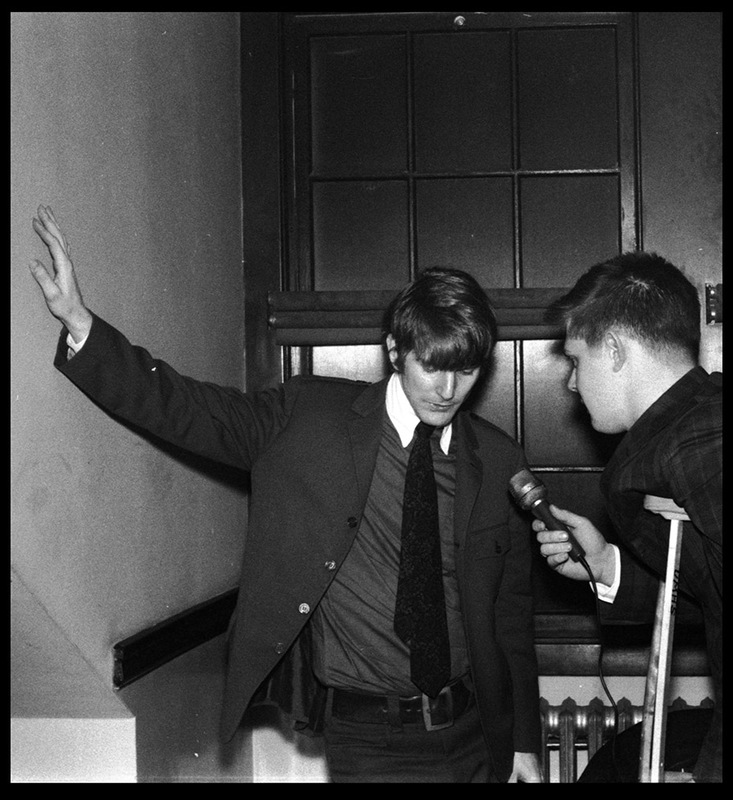 Jeffrey Drucker was a student and photographer at the University of Massachusetts Amherst from 1966 to 1969, where he majored in production management and was the WMUA station engineer. As a student, Drucker was a photography enthusiast, taking snapshots of events across campus, thoroughly documenting his years as an undergraduate at UMass in the late-sixties. The Jeffrey Drucker Photograph Collection contains 387 photographs of a diverse array of campus events, including the Dow Chemical protest in 1968, parades, Roister Doisters productions, musicians like Stevie Wonder and Simon and Garfunkel performing at on-campus concerts, and iconic campus buildings. Many of Drucker’s photographs were printed in the Index yearbook as well as the University of Massachusetts Daily Collegian and give a clearly student perspective to life on campus.